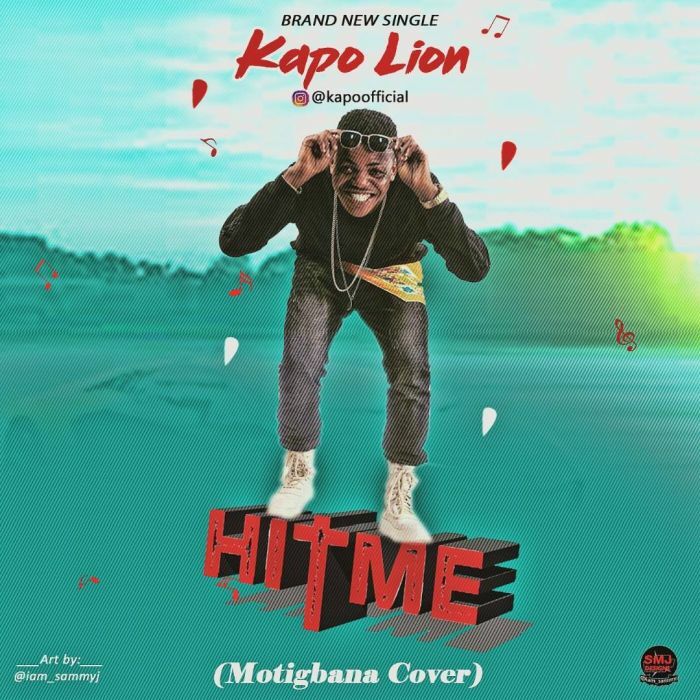 Download Music Mp3 titled Hit Me by Kapo Lion, Hit Me is a cover of Olamide‘s Motigbana, Click the below link to download and listen to Hit— Kapo Lion. You need to hear this, believe me, it’ll blow your mind. Multi-talented, award-winning, and super creative beat killer and Poly crooner Kapo Lion is out with a feet sweeping cover of Olamide‘s Motigbana, and he titles this ‘Hit Me‘ after the popular Instagram comedian Broda Shaggy’s/Lasisielenu’s Slogan.